A home equity line of credit, or HELOC, is a popular way to finance everything from home remodeling or repair to debt consolidation, or even a vacation. If you’re a homeowner, you’ve probably heard of them, but should you apply for one? Here’s what you need to know. A HELOC is a revolving credit product that is secured by your home. It’s different from your mortgage in several ways; in fact, it’s a lot like a credit card. The HELOC is borrowed against available equity, not the purchase price. If your home was appraised at $200,000, for instance, and you now owe $150,000, you may be able to borrow against that equity in the form of a credit line. The total amount you can borrow is usually up to about 85% of the total worth of your home, minus what you owe on it. In this example, 85% of the worth is $170,000, and once the owed amount of $150,000 is subtracted, the final amount available for a HELOC would be $20,000. Because it’s a revolving credit line, you can take out only as much as you need, pay that amount off, and borrow again during what’s called the draw period—usually about 10 years. During that draw period, you can borrow as much or as often as you like, up to the maximum amount you determined at closing. You will also have to make payments on the amount you have borrowed but they’ll be minimum payments, much like you’d see with a credit card balance. HELOCs usually have a variable interest rate, also much like a credit card. The rate is based upon the Prime Rate, and each lender will have a different rate. Your own creditworthiness could also play a role in the interest rate you’re offered upon approval. Home improvement might be the top reason for getting a HELOC, but there are plenty of other reasons to look into using your home’s equity. Debt consolidation is also a common use of home equity funds, and if you are carrying student loans you might even consider using a HELOC to refinance them depending on the interest rate. You could also use the funds to pay for your education and avoid taking out a student loan altogether – helping you lower your total college costs from the start. One of the lesser known ways to use a HELOC is investing. The low-interest rates on a HELOC mean you could end up doubling your money, depending on the markets and the investment you choose. While you wouldn’t want to max out your equity for a risky prospect, you could consult an advisor for the best way to go about investing your HELOC’s proceeds. Others use their equity line of credit to start their own business—or to get some working capital for an existing business that needs a bit of help. Some might even use the HELOC like a credit card, buying groceries or clothing, taking trips, or paying for a wedding. Keep in mind, however, that a HELOC is tied to your home; the more you borrow, the less equity your home has—and the more risk you’re under if you can’t make the payments. A home equity line of credit has benefits and drawbacks, just like any other credit product. Let’s take a closer look. HELOCs are highly flexible, and as we’ve just seen, they can be used for a long list of things—many of which can actually increase the value of your home or make you more marketable in your career. If you have the line of credit but aren’t using it, then you aren’t paying for it. Just like a no-annual-fee credit card, having the credit available doesn’t cost you anything, so if you choose to have it for emergencies and then never need to use it, you won’t pay a dime. If you do use it, you can take out only the amount you need—and you might have the option to make an interest-only payment. While that won’t help you get the balance down, it could offer some flexibility when needed. Being able to borrow, pay off the balance, and then borrow again is one of the best features of the HELOC. If you’re looking at a large multi-room improvement project, for instance, you could take out enough to pay for one room’s renovations and take on the second room once you’ve paid off the first balance. That will save you money in interest over the course of your projects. Speaking of interest, you’ll pay a lot less with a HELOC than a traditional loan when it comes to autos and other financed purchases, including credit card debt. If you’re looking to get your other debts paid down faster and at a lower rate, a HELOC might be just the thing. Before you run out and apply, however, there are a few drawbacks you need to know as well. With your home securing the line of credit, you could be at risk for foreclosure if you cannot pay the money back. When thinking about whether to take out a HELOC—or whether to use the funds if you already have one available—you might want to ask yourself if the purpose of the funds is worth risking your house. In the case of improvements that will increase the home’s value or will pay for schooling more inexpensively than a student loan, the answer might be yes. If you plan to use it to bridge the gap between income and preferred standard of living, you might want to think twice. The other downside to a HELOC might be the variable interest rate. While the rates might be low when you close, what you pay a year, five years, or even a decade from now is determined by the Prime Rate and an index that lenders decide. In order to qualify for a HELOC, you’ll obviously need to own your own home. 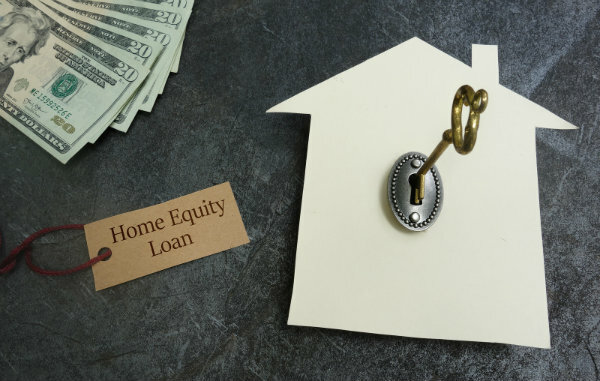 You’ll also need to have some equity built up; if you made a sizeable down payment at closing or have been paying on your loan for a while, chances are you have some equity. Lenders will also look at the combined loan-to-value ratio of your property—and that includes any other loans or balances with liens, such as contractors or the IRS. Just as with other loans, your credit history and debt-to-income ratio also play a big role in your approval. If you are ready to explore applying for a HELOC, contact your own bank first, but talk to multiple lenders before applying. Compare interest rates, fees, and other costs, and see what lenders offer for terms and flexibility in payments. Stay away from predatory lenders who offer deals that sound too good to be true—they probably are. When you get ready to close, read the documents closely and understand what you’re signing. Everything in the closing documents should be exactly what you were already told—if it’s not, ask your lender about it before signing. HELOCs aren’t for everyone, and if managed incorrectly they can be dangerous. For many homeowners, however, they’re exactly what was needed to get something great accomplished. Tom Fire blogs about his pursuit of financial independence and early retirement over at FIREd Up Millennial. When he’s not blogging or working, Tom is frequently playing with his dog Paco, figuring out new ways to save money, or listening to 90s Rock.